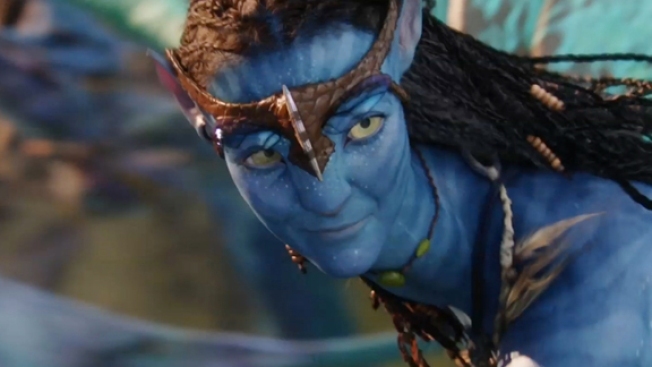 "Avatar" insiders don't expect the film to win Best Picture. LOS ANGELES - Despite having 10 nominated films in the best picture category this year, the race has come down to two films: “The Hurt Locker” and “Avatar.” With just hours to go before a winner is announced, “Avatar” insiders are admitting that they have doubts that the best picture prize — or any Oscar — will go to their film. In the weeks before the awards, much has been made of the battle between the exes — best director nominees Kathryn Bigelow of “The Hurt Locker” and James Cameron of “Avatar.” It seemed silly to think this could be anything more than a clever headline, but spend a couple days in Los Angeles with film and Oscar insiders, and you’ll come to realize there actually is something to all the talk. On Saturday, Mo’Nique was honored at a luncheon at West Hollywood restaurant Philippe Chow, and Oprah Winfrey made a surprise appearance to honor the Oscar nominee. Winfrey arrived with as little fanfare as possible, more than an hour after festivities had begun, and beelined for Mo’Nique’s table. She sat with the actress, who had won a Film Independent Spirit Award on Friday night. Also on hand: Alfre Woodard, Natalie Cole and Macy Gray. The lunch wasn’t just about fawning over Mo’Nique, who seems to have the Oscar locked up. At the lunch, MAC cosmetics presented a $25,000 check in Mo’Nique’s name for Women Alive, a coalition for women of color living with HIV. Palin backlash continues in L.A.
Sarah Palin’s grabby behavior at an Oscar gifting suite caused quite a stir last week, but now talk has shifted to the reality show she is shopping with “Survivor” creator Mark Burnett. The two shopped the show to ABC and NBC execs, and all are expected to pass on the show. Courtney Hazlett delivers the Scoop Monday through Friday on msnbc.com. Follow Scoop on Twitter @courtneyatmsnbc.com.